Front row (from left) Chansey Paech’s father Michael Schembri, his mother Cheryl Schembri and sister Adrianna Schembri. 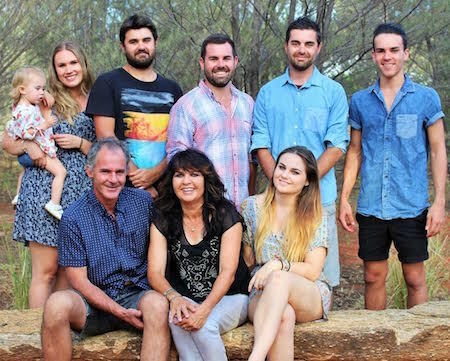 Second Row: Chansey Paech’s niece Lily Paech, sister in-law Jess Hill, brother Clayton Paech, Chansey Paech and his brothers Justin and Jessie Schembri. Alice born and bred Chansey Paech’s family is as big and diverse as the electorate he wants to represent, spanning bush and town, black and white. His best guess about the number of his rellies is “hundreds” – taking in the Le Rossignol, Shaw, Kenny, Smith, Wade, Pick, Liddle, Campbell, Hayes, Pope, Abbott, Schembri and Craig families. 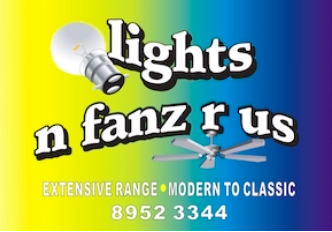 So when he waves to the traffic on the Stuart Highway just south of The Gap, the person tooting the horn in response may like Mr Paech’s politics, or they might be a cuz – or both. In terms of territory Namatjira includes a chink of the town, between the range and Stephens Road and Lovegrove Drive, and all to the south of the range to the SA, Queensland and WA borders. The seat takes in expensive real estate and town camps, the affluent rural residential areas, the community living areas of the Golden Mile, bush communities from Ampilatwatja to Docker River, the Ayers Rock Resort and King’s Canyon and the sprawling network of family-owned cattle stations. Mr Paech, 28, is standing – so far – against the CLP’s Heidi Williams and veteran activist Vince Forrester (Greens). The sitting member is the free-spirited Independent Alison Anderson. Mr Paech says she is an auntie of his but he doesn’t know whether she is nominating again. Political circles have suggested Ms Anderson is grooming Mr Paech for the role. He is taking his ambitions seriously: He is brimming with enthusiasm for the role of candidate, has been a vocal member of the Town Council in its current extended term (he will return to it if he is not elected), and he is the president of the ALP’s Alice Springs branch. When it comes to problem resolution he is a firm believer in involvement of publicly funded NGOs collaborating significantly with the government. 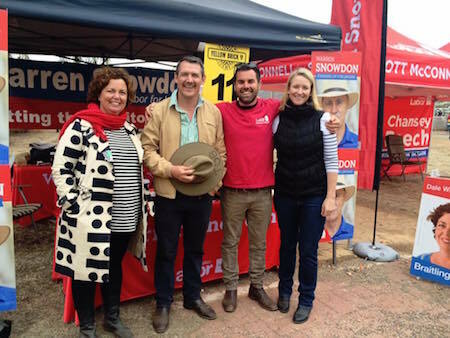 Left: At the Alice Springs Show with ALP Leader Michael Gunner and candidates Dale Wakefield (Braiting) and Member for Wanguri Nicole Manison (at right). On some issues the poorly formulated policies of his party do not make life easy for him. NEWS: In the wake of the Four Corners allegations that juveniles in custody in the NT are being maltreated, please give me your take on youth issues from the perspective of families: What should they be doing to keep their young people out of the criminal justice system? PAECH: Punitive measures will always play a role but there needs to be more of an emphasis on diversion and preventative measures, therapeutic interventions. NEWS: How would they work? PAECH: We have the youth sector and they are experts. We don’t often listen to them. Let’s get them ‘round the table and get some progressive reform. NEWS: That would be a work in progress. How come after all these years of trouble we haven’t got a handle on this? PAECH: Sometimes people are scared of listening too much, a little bit nervous of giving too much power to the sector. It takes it away from the government departments. Government, NGOs and the community can and need to play as a team. We fall down because there are always changes. When the CLP came to power in 2012 we had drop-in centres. Congress had their base near Billygoat Hill and YSOS at the Youth Hub at Anzac Oval, and we had Return to Country. These are services that were cut. YSOS especially should be revived. It could have been enhanced, we could have built on it. YSOS was about youth workers engaging with young people out on the streets at night, having a triage service at the Youth Hub (Anzac Hill) and follow up services that engaged the sector. NEWS: There were also food and beds. PAECH: Yes. Now these are services the Town Council is calling for. The sector needs funding that’s not just based on election cycles. The goal posts are constantly changing. Five year cycles would certainly help. NEWS: The parents of young offenders seem to be missing in action. Why do we not demand that they look after their children? PAECH: We need to have interventions that work with the parents. NEWS: Isn’t it simple? Parents look after their kids? PAECH: Wouldn’t it be great if life was that simple. We wouldn’t have to be here talking about this. Sometimes in life families need a little bit of assistance, whether it’s because of substance abuse, domestic violence. We need to look at how we can better support the community in bringing the parents with us. It is important that we don’t erode the capacity of parents. NEWS: Is the capacity in evidence? What’s absent in the present debate about youth detention is why these kids are in prison in the first place. What have the parents done to prevent them from going down that way? PAECH: Sometimes people need a helping hand. It comes down to sitting down with parents and the sector and come up with a model for parents to participate. Playing the blame game doesn’t lend itself to constructive solutions. NEWS: You’ve now told me about the carrot. What about the stick? After all, the law says children must be provided with the necessities of life? PAECH: There are so many issues in people’s lives that they sometimes get lost in. NEWS: You’ve been here all your life and you are a keen observer. Where are street kids in Alice heading? PAECH: It’s certainly not getting any better. It has the potential to get worse. It’s an issue that has not died down but it has not grown at an alarming rate. It grew a little bit from 2012 because of the reasons mentioned. 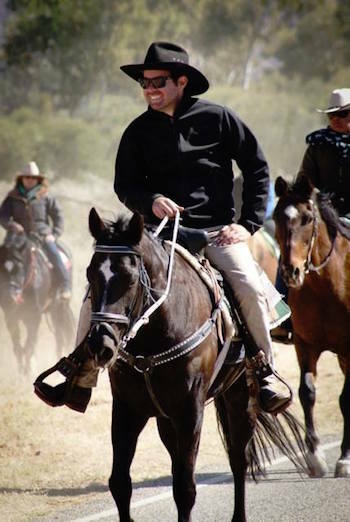 Right: The candidate riding in the bush. NEWS: The council decided to have a youth refuge at one meeting and two weeks later the exact opposite was decided. PAECH: I supported the decision two weeks ago because I knew it would have to come through to an ordinary meeting when [another] vote is taken. When Steve Brown brought it up again and the papers and some expert advice were in front of us, I supported the calling for a report. But, you can have report after report after report. NEWS: In your personal view, as a councillor and as a candidate, what should be done in the next 12 months about street kids? PAECH: The government needs to talk with the youth sector right across the NT. We need to engage and bring the community with us. NEWS: What’s the sector saying? PAECH: The sector is saying a range of things and there are sometimes competing voices. NEWS: It seems to me that no-one is bringing a well thought-out, defined, researched and costed policy, resulting from adequate public consultation, to their election platform. It’s all about working it out some time in the future. PAECH: Both parties have to listen to what the sector is saying. 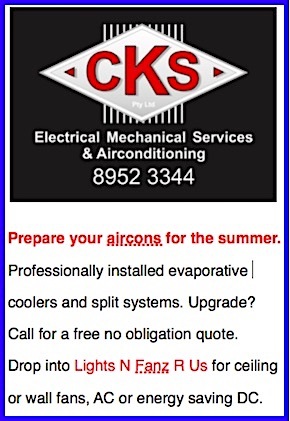 They are the experts and have the local knowledge. Issues with young people are not just in Alice Springs. There are models elsewhere in the country that have worked. NEWS: Labor’s early childhood development discussion paper is full of statements like this: “A Labor Government will review existing programs and consider new initiatives to inform our strategic planning and policy development for implementation.” Initiatives are to be formulated in the future. The fact is that with less than a month to go to the election there is nothing concrete on the table. True? PAECH: Michael Gunner came out in support of the Royal Commission and other measures. We also say youth justice preventative measures should be under the Minister for Young Territorians we are proposing, or under the department of the Minister for Families which needs to be better resourced. NEWS: What initiatives need to be funded? The voters would like to know what is proposed to be funded and how much would it cost. Bear in mind that per head of population, we’re getting from Canberra about six and a half times as much as the rest of the country. PAECH: I cant’t answer that because I haven’t been part of the internal mechanism. I am not in the Shadow Cabinet. NEWS: The CLP is promising to re-introduce Return to Country. PAECH: Yes, with a budget of $200,000. That’s’s not going to go far at all. NEWS: A one-way bus ticket from Yuendumu is $110. What else should be done? PAECH: Supporting Tangentyere and Congress. They ran programs for young people. They were fantastic, well positioned. Congress had a drop-in centre which was an alternative to the Alice Springs Youth Centre. That worked well. There should be funding for the Gap Youth Centre and others. NEWS: Congress has a budget of $40m. Compared to that the town council has a budget of $32m. Is there not enough meat in this for Congress to do more for the town’s kids? PAECH: Congress does a fantastic job. There is no doubt about that. Government should work with Congress about running the centres for which funding was cut. One size doesn’t fit all. For example, you can’t expect all kids going to the Youth Centre. There are issues with family groups, or cultural considerations. People often won’t hang out together. NEWS: How many street kids are there? The council has been dodging, for the best part of three weeks now, our requests for this information although it is available from their Youth Patrol records. Do you know the number? NEWS: Why don’t you ask? As a councillor you’re one of the bosses. The Mayor says he doesn’t know. PAECH: I’m interested to learn whether the Youth Patrol is now just a taxi service, used multiple times a night by some people. NEWS: The government is spending $75m for 10 new electricity generators burning fossil fuel. Good idea? Left: With bush constituents and Mr Gunner at Three Bores outstation near Utopia. PAECH: It’s probably not the best investment of $75m. Adam Giles has been a bit deceitful in his assertions about the percentage of solar at present. It is 40% is on a good day. The average is more like 20%. NEWS: How many new engines would Labor put in? PAECH: These engines have been bought and they are on their way. I would have looked at the system as it was and judged what upgrade is needed to further the capacity a little bit, to match the growth of the town. I would have liked a bit more of a financial commitment to renewables. NEWS: How much of the $75m would you have spent on solar? PAECH: I couldn’t really tell you off hand. But I would have liked to see more household installations. Labor has a position of 50% renewables by 2030. It was a Labor government that initiated the upgrade of power generation in Alice Springs, building the gas turbine power station in Brewer Estate. NEWS: The community group Repower Alice Springs advocates the cancellation of some of the 10 engines on order now. Would a Labor government do that? PAECH: That’s a question for our energy spokesperson Michael Gunner. With renewables come jobs. We should be working with organisations like the Centre for Appropriate Technology (CAT) who have some expertise in delivering renewable options to remote areas. NEWS: We’ve been trying to get a critique of the $75m project from CAT for more than four weeks, plus costed alternatives. We’re still waiting. The government is taking the position that the power station must be capable of meeting peak demand at any time and that can be done only with fossil fuels. Peak demand occurs only extremely rarely. Your comment, please? PAECH: The answer is clearly to wind back that peak demand which occurs just during a few hours each year. That can be achieved with minor hardship to the consumer. It would be a temporary measure while solar is ramped up. Money we would be saving by buying fewer engines that burn carbon fuels we would be spending on solar. NEWS: Would you cancel part of the order of engines? None have been delivered so far, as I understand it. PAECH: I can’t give you a yes or no answer. If you make a $75m announcement, given the climate we’re in, there should be a component for energy efficiencies, helping people with insulation, painting roofs, solar hot water systems and installing another large solar plant. Put solar panels on government buildings. NEWS: Was there adequate public consultation on the $75m? PAECH: There was none at all. I was gobsmacked. It was pork barrelling. We had these outages and that was all it was. The plans for the new power station were in place, but how long were they going to sit on the money if the power hadn’t gone out? When I asked Territory Generation, at a council meeting after the announcement, about developing solar they said the report hasn’t been released yet. Yet the report is overdue. 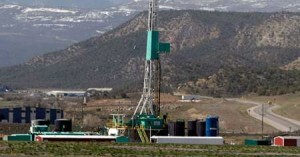 NEWS: Why a two year moratorium on fracking? PAECH: Two years allows us enough time to get across the scientific issues, and to engage with the community so it has access to both sides of the issue. We want to take the community along with whatever the decision will be. NEWS: That may take longer than two years. PAECH: We should have a large portion of that done in two years. NEWS: What if the majority of the community says “no” at the end of the two years? PAECH: That is something we would take into account. NEWS: If the majority says “no” would the moratorium be extended? PAECH: I imagine that would come back to Territory Labor at its annual conference and they would discuss it and make a decision by which we would then be required to abide. NEWS: Is current policy to make fracking beyond the two year moratorium dependent on a decision by Territory Labor? Could Territory Labor extend the moratorium? PAECH: I don’t have a yes or no answer to those questions. We must get this development right because this is also about protecting thousands of jobs, pastoralists, horticulture, agriculture. NEWS: What are the regulatory boxes that need to be ticked for the party and its Parliamentary wing to accept fracking? PAECH: Guarantees that our water supply is not put at risk is one example. NEWS: The industry will no doubt say “we are not going to put your water at risk”. Will inspectors for each and every well site, who are independent from both the government and the industry, be a condition required by Labor? Professor Tina Hunter described that as essential. PAECH: There need to be stronger regulatory provisions. NEWS: I am asking you about that particular one, the one advocated by Dr Hunter. PAECH: The ALP is very firm about regulatory requirements. NEWS: What about that particular requirement? Would it be a condition for fracking being permitted by a Labor Government? PAECH: It should be seriously considered at the time. As a personal view, I think it should be a part of the regulatory regime, but that’s a matter for the membership and the Parliamentary wing. It is something I would advocate for. NEWS: What else should be required? PAECH: The oil companies would have to guarantee for the lifetime of Territorians that they will replace any water supply they destroy. NEWS: What sort of guarantee would that be? Companies go broke and disappear. There are many stories about the failure of mining companies to rehabilitate sites. PAECH: This is a very interesting area. There would have to be some form of compensation. Is the government that allowed it responsible? Companies go into liquidation, administration … And the price of gas is not what we originally thought it was. There is a glut. NEWS: Tourism, our only stand-alone private enterprise without heavily depending on the public purse for a market, hasn’t been doing very well. 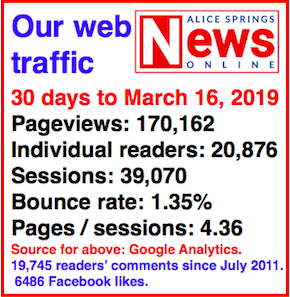 What would Labor do to stop the slide of Alice towards becoming a welfare town? PAECH: We would spend about $200,000 annually to boost the public relations of current events. We will build a Northern Territory Museum in the Top End. We want to have a $50m national Indigenous cultural centre based in Alice Springs, with a national focus, a place of sovereign respect. It would acknowledge all of our Indigenous nations, all of our languages, but have a big emphasis that you’re in Arrernte Country. This is our culture. It’s not an annexe to the Araluen Centre. I wouldn’t want it to show our people through a piece of glass. It needs to be living, breathing. It needs artists, story tellers, dancers, interactions. It may work with the Australian Institute of Aboriginal and Torres Strait Islander Studies in Canberra. It would be a promotional hub for Indigenous businesses and tourism around the country. Perhaps a hub and spokes concept, with men’s and women’s sites around the town. There is money for an art trail throughout the NT. We’ll have a capital grants program open to applications from tourism operators, upgrading tired facilities. There is a real opportunity to work with land owners and communities in active tourism, adventure tourism, go-karting, motorbiking, skydiving, gliding, that kind of stuff. 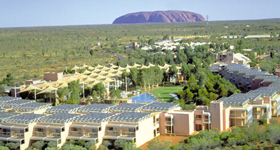 NEWS: The Ayers Rock Resort is in your electorate. 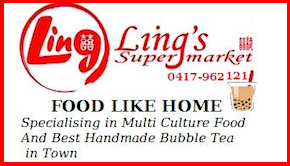 It is Aboriginal owned but hardly any local Aborigines work there. PAECH: We need to find ways of engaging and encouraging locals. NEWS: Should unemployment benefits be stopped for people who are offered a job at Yulara but not taking it – exactly as it is done all around Australia? PAECH: It’s not a yes or no answer. People may not have training in some areas. NEWS: How much training does it take to unload 80 suitcases from a 40-seater bus and take them to 20 rooms? PAECH: I think there is probably not a high requirement of training. I would certainly like to learn more about that space. I don’t know what the resort’s Indigenous employment strategy is. 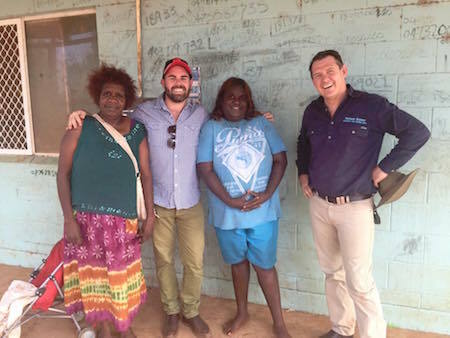 NEWS: They have a senior executive whose principal job is to grow local Indigenous employment and despite his best efforts he isn’t getting very far. PAECH: For a large number of my people employment is not a main priority. They are living in insufficient housing, they have insufficient amenities that other people take for granted. They are living in third world conditions. That makes it difficult for them to get up every morning and go to work. NEWS: There is lots of staff housing at the resort. PAECH: You talk to people there and they say staff housing is often at capacity. NEWS: At the moment much of the workforce is from interstate and the executive we interviewed was very keen to get locals. PAECH: It would always be good to have a mixture of Aboriginal people because they can share experiences. NEWS: We’ve run reports on the lack of Aboriginal employment at the resort for the past 20 years. Not much has changed. Why it this not on Labor’s election agenda? PAECH: I don’t pretend to have the answers for everything, but I’m keen to look at the history and learn what hasn’t worked. 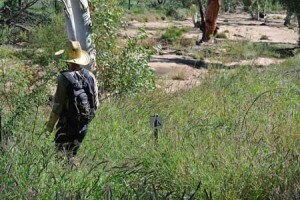 NEWS: Would you re-direct the roughly $50m that Tourism NT gets a year? PAECH: I’d be interested in sitting down with everyone and have a conversation. NEWS: What’s your view about the creeping industrialisation of the rural residential area? PAECH: I’ve grown up in it. My parents own a property in Ilparpa, and my aunties in Connellan and Ross Highway. I support the rural area being rural. There needs to be better enforcement of what is in the Planning Act. There is no place for large trucks reversing at four o’clock in the morning, or for causing dust. Robyn Lambley has been a good advocate for the rural area. I support small business owners working from home so long as it does not impose on the neighbours. If the ventures outgrow the rural lifestyle we need to have a discussion. 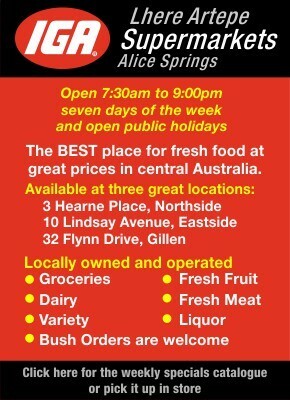 Alice Springs has been starved of commercial land. Not enough has been released. We are going to the election with a commitment of affordable commercial land released south of The Gap, near the Road Transport Hall of Fame. I’ve also been a strong advocate on Council for the need to upgrade Ilparpa Road. I was one of the drivers, along with Steve Brown, for the Council committing to upgrade the road, making it safer for drivers and cyclists. NEWS: Buffel is a weed in South Australia. Should it be here? PAECH: If I am elected I would engage with stakeholders in relation to this. There are two sides to this issue. NEWS: We commented recently that the current government, in round figures, is creating a minor advantage for a $1b industry – pastoralism – at the peril of a $2b industry – tourism. PAECH: I’m not that informed about buffel grass although I’ve worked in both industries, as a horticulturalist, which is my trade, and my family has cattle stations and are Aboriginal people on communities. NEWS: So there is no clear policy Labor is taking to the election? Is it also a work in progress? PHOTOS courtesy of Mr Paech. Wow, sounds like you’re very well connected to the electorate Chansey, best of luck in the election. I know my parents have been impressed by your roadside stops.